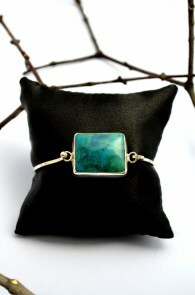 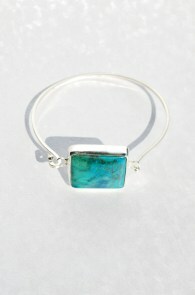 The name 'Chrysocolla' was derived from Greek words 'Chrysos' and 'Kolla' which translates as 'gold' and 'glue'. 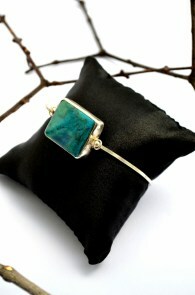 It earned its name because it was often used as a gold soldering agent. 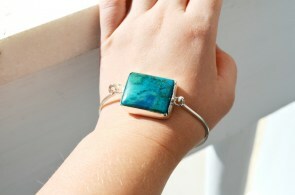 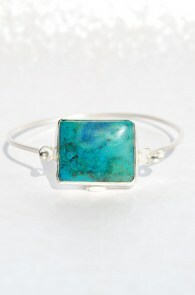 In 315 B.C., Chrysocolla was first used by a Greek philosopher and botanist known as Theophrastus. During early times, Chrysocolla was used as a soldering agent and in ancient Egypt, it was popularly known as the 'wise stone' as it was thought to be able to shield the mind during times of negotiation. 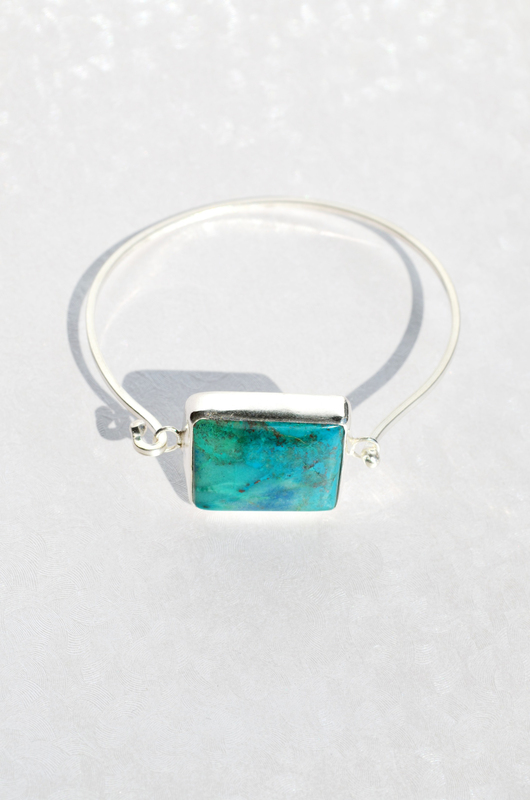 Chrysocolla also is believed to have the ability to reduce violent actions to increase sensitivity, which is why Cleopatra was known to wear chrysocolla jewelry.